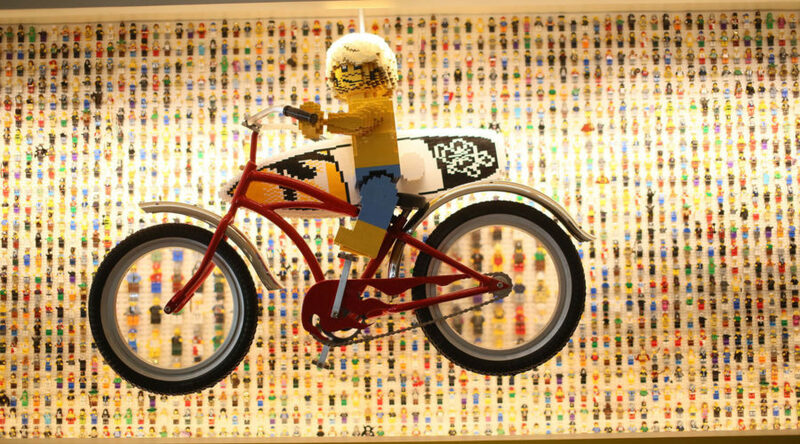 As far as theme parks go, Legoland California takes eclecticism to a whole new level. There are thrill rides. There are water parks. There’s an aquarium. There are two hotels. And, of course, pretty much everywhere you look there are millions upon millions of Lego—tiny plastic bricks that kids love (almost) as much as milkshakes. With all these attractions, however, visiting families can often a feel bit overwhelmed. What to do first? Where to eat? Contributing writer Matt Villano visits the park with his three daughters every year. 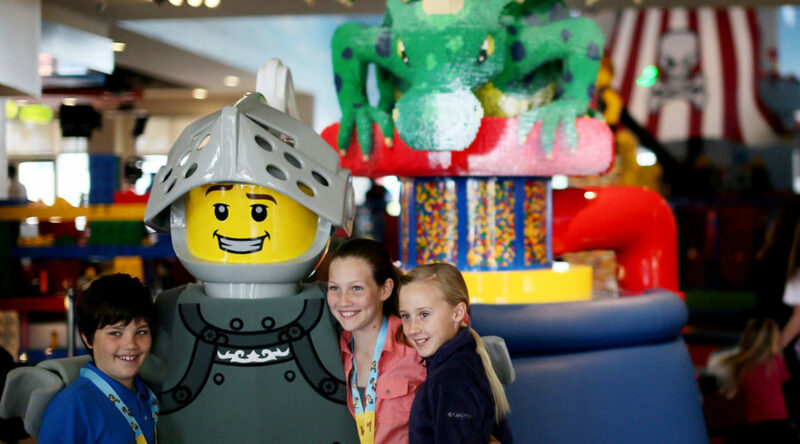 Here are his tips for making the most out of your next visit to Legoland California. The closer you stay to the park, the better. There are four hotels within walking distance of the theme park’s main gate—two inside the park and two just beyond the perimeter . 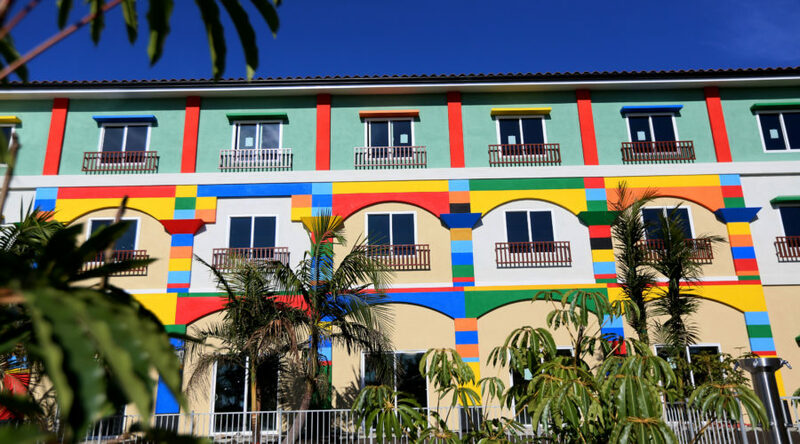 The newest of the bunch, the 250-room Legoland Castle Hotel, opened in April 2018 and was built to resemble a medieval castle, complete with a drawbridge and a Lego queen. All rooms there and at the original Legoland Hotel (pictured) have separate kids’ areas with bunk beds and building tables. Guests also get an hour of early access to the theme park. Paper maps are cute, but the Legoland Mobile App is a far superior way to navigate your way around the theme park. The app offers relatively accurate wait times for every ride (including the popular Beetle Bounce, pictured), as well as location-specific walking directions to bathrooms and food vendors, and special daily deals for park shops. You also can use it to purchase tickets or upgrade tickets you already have. For the best results (and to integrate the GPS properly), connect your device to the park’s WiFi. 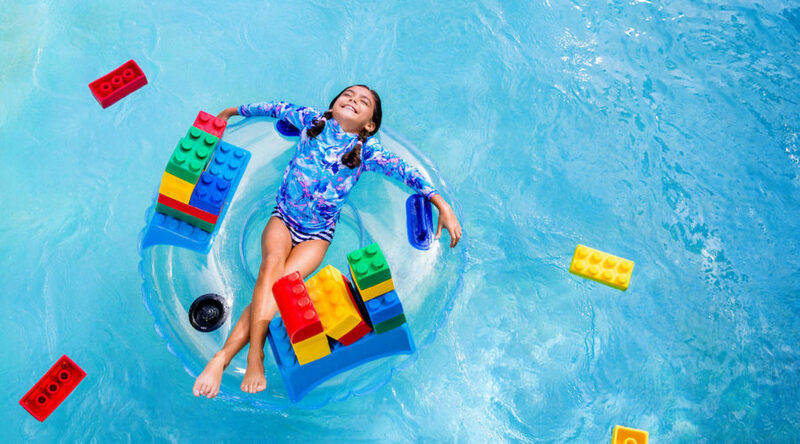 You could spend your entire visit to Legoland in dry clothes, but that would be a mistake—the sprawling, separate-admission Legoland Water Park is worth a deep dive. There are nearly a dozen attractions in all, including a water-play area for babies and toddlers, a lazy river, a wave pool, a flume ride, and more. The water park also sports changing rooms and a massive locker area; visitors can rent lockers by the day. Just be sure to bring your own towels. Healthy food choices abound at Legoland California. Most food stands offer fresh fruit and vegetarian options; some even have meatless hamburgers. The Fun Town Market, near the entrance to the water park, has a salad bar; the Wok & Bowl Ramen offers a variety of low-fat soups. Whatever you consume during your visit, be sure to indulge in Granny’s Apple Fries—fried slices of apple dusted with cinnamon sugar and served with vanilla cream dipping sauce. Legoland California has two ways to get up-close and personal with fish. 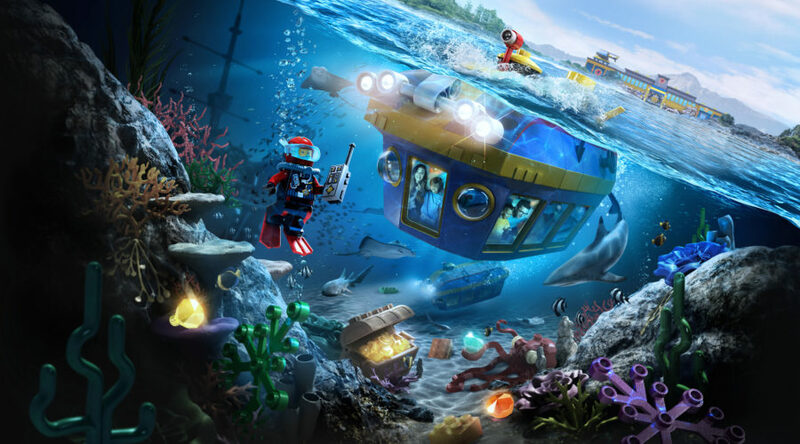 The first, Deep Sea Adventure, debuted in summer 2018 and is a ride that takes guests in mini submarines through giant tanks with sharks and fish. The second, the SeaLife Aquarium, is a separate-admission, standalone attraction with fish, rays, sharks, reptiles, and amphibians. The aquarium recently added an exhibit that replicates the experience of walking in a bioluminescent tide—with every step, your footprints appear to glow. 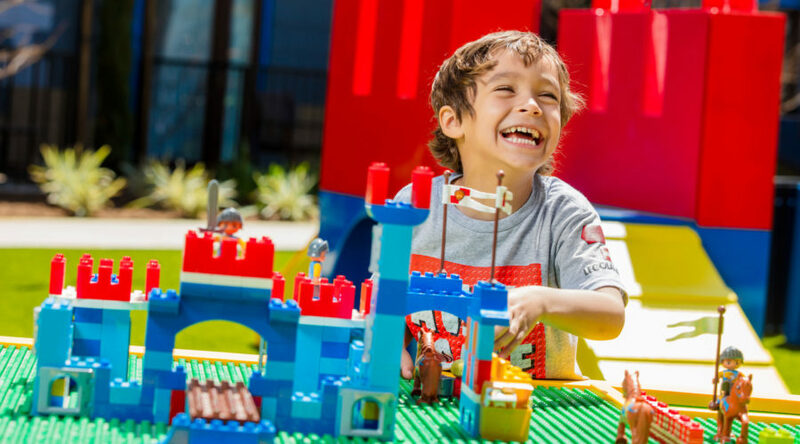 The Legoland theme park isn’t only about fun and games; it’s about learning, too. 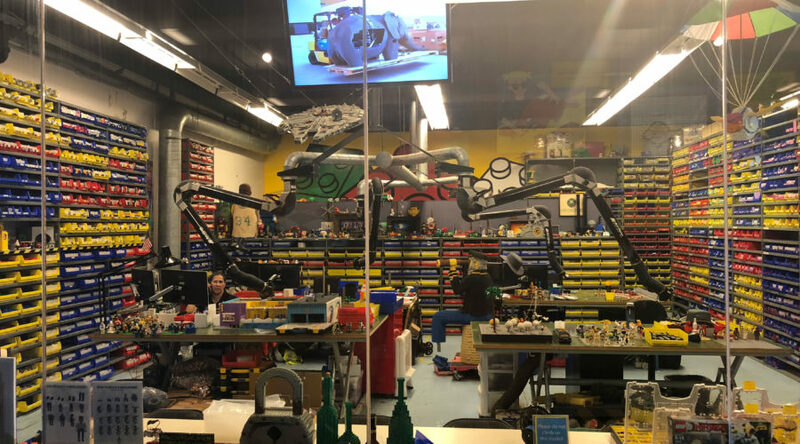 In an area of the park dubbed the “Imaginazion Zone,” kids (and eager grown-ups) can sign up for free classes to build and control Lego robots. These classes revolve around the Lego Mindstorms product, and run about an hour apiece. The minimum age requirement for these classes is nine, but younger kids can pass the time in a separate area where they can build race cars and test them on incline tracks. 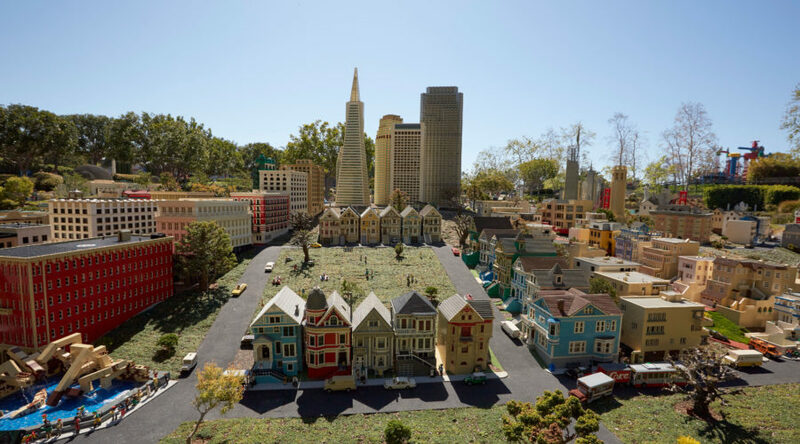 One of the things that sets Legoland California apart from other Southern California theme parks (ahem, Disneyland) is its focus on toddlers and younger children. 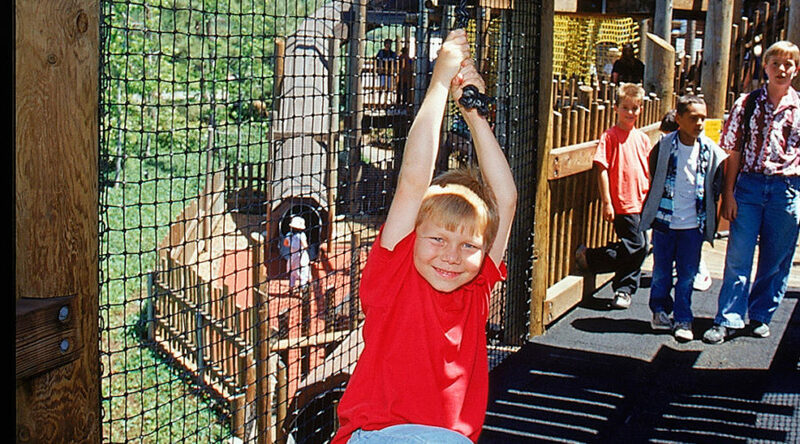 Case in point: the Hideaways Play Area, a tremendous wooden play structure with slides, nets, ladders, tunnels, and all sorts of other diversions for burning energy. The structure has ample bench seating for grownups to cool their jets. 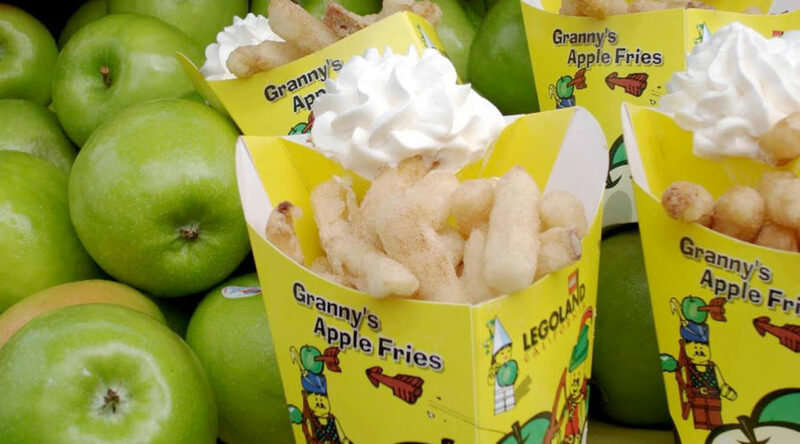 It sits just behind the booth that sells Granny’s Apple Fries, making snack time a cinch. From the nightly parade to impromptu meet-and-greets with costumed characters from the Lego movies, Legoland California rolls out a variety of live entertainment experiences throughout the day. Lego Friends-obsessed children in particular will love the 15-minute free performance on the “Friends Forever Stage” during which human actors sing and dance their way through a plot from the popular cartoon. 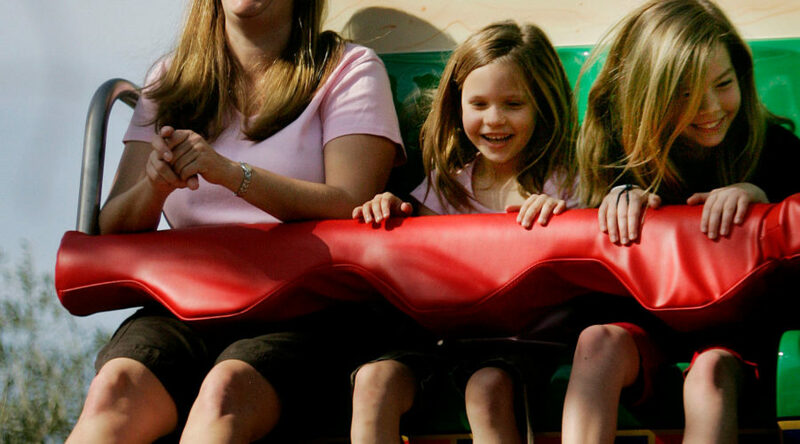 Save some cash to try your luck at the carnival games that are spread across the Legoland California theme park. Most of the contests are the same sorts of things you’d find at the county fair: Sink a basket in an oblong hoop, toss a ring on the neck of a glass bottle, knock the cans off the shelf. Some—usually the easiest ones—guarantee a prize for all participants. Our advice: Time your game-playing strategically. While it’s a great rush to win a giant Pikachu, carrying it around the park all day is another story.